Many readers have communicated to me that my earlier post presented a one sided picture of big data and cloud. I had asserted that they were made for each other in that post. First of all, thanks to all the readers for their comments. Here is my attempt to correct that situation. 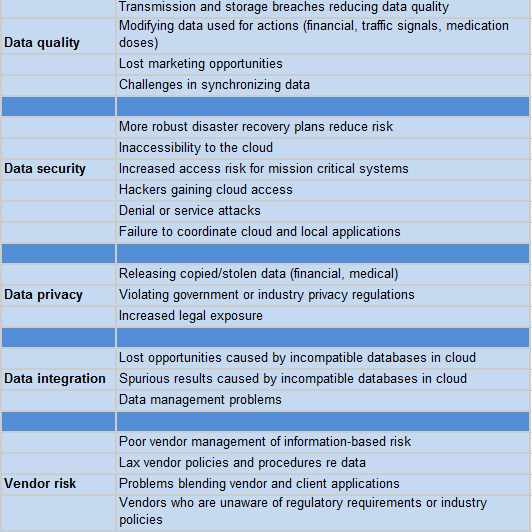 Following table describes the risks of big data in the cloud. In spite of the risks below, I still feel that most small to mid sized companies benefit from having cloud be their big data store.